Traditional payment is the new e-commerce innovation. A considerable large number of Malaysians still prefer paying by cash over credit cards or online banking. MOLPay CASH provides an alternative payment solution for merchants to broaden their customer base. Southeast Asia's leading payment gateway MOLPay Sdn Bhd expects a 160% rise in growth for its new convenient cash payment service MOLPay CASH during the Hari Raya season. The number of transactions per day has jumped to more than 10,000 since its partnership with regional e-commerce player Lazada Group and convenience store chain 7-Eleven Malaysia Sdn Bhd in May this year. "Traditional payment is the new e-commerce innovation. A considerable large number of Malaysians still prefer paying by cash over credit cards or online banking. MOLPay CASH provides an alternative payment solution for merchants to broaden their customer base," said MOLPay CEO Eng Sheng Guan. Citing a study by performance marketing technology company Criteo, Eng said the three weeks leading up to Ramadan, and more specifically, the third week of Ramadan represent the biggest opportunity for online retailers. During this period, the study states there was an average of 67 per cent uplift in online retail sales and 14 per cent uplift in online travel sales. 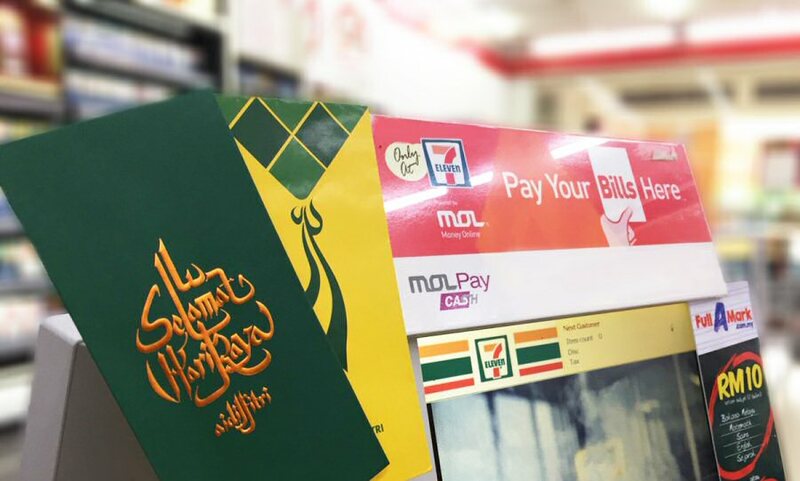 Through its online-to-offline (O2O) method, Raya shoppers can order products from online merchants and pay conveniently at 7-Eleven's over 2,100 outlets nationwide. No bank account or credit or debit card is needed and the entire process only takes an average of two minutes, he said. Apart from the Alibaba-backed Lazada, MOLPay expects to sign-on more e-commerce businesses by year-end. MOLPay CASH also serves international brand UNIQLO, travel booking platform Traveloka and online beauty shop Hermo. "Adopting MOLPay Cash will open wider business opportunities by both established and smaller online players to seize more than half of the market that prefers fraud-free, traditional cash payments. All these online businesses need to do is enable the service and they can start to enjoy noticeable growth in sales every month," added Eng. For more information about MOLPay Cash and other MOLPay Sdn Bhd services, please visit here.